CARFAX 1-Owner. XLT trim. EPA 24 MPG Hwy/17 MPG City! 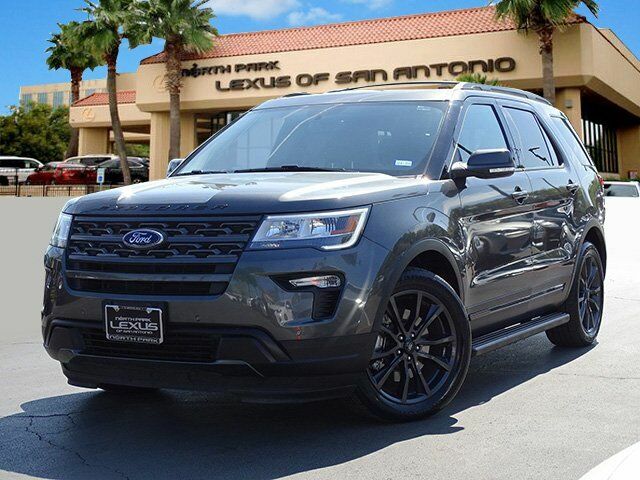 Leather Interior, 3rd Row Seat, Onboard Communications System, Flex Fuel, Back-Up Camera, Rear Air, XLT APPEARANCE PACKAGE, ROOF-RAIL CROSSBARS (DEALER INSTALLED... CLICK NOW! EQUIPMENT GROUP 202A Engine Block Heater (Regional), LED Fog Lamps, Power Liftgate, Power & Heated Glass Sideview Mirrors, manual-folding, LED turn signal indicators, security approach lamps, integrated blind spot mirrors and gloss shadow black caps, Note: Integrated blind spot mirrors not included when equipped w/BLIS, Driver Connect Package, Auto-Dimming Rearview Mirror, SYNC Connect, remotely start, lock and unlock vehicle (includes service for 5 years from the vehicle sale date as recorded by the dealer), schedule specific times to remotely start vehicle, locate parked vehicle, check vehicle status (includes service for 5 years from the vehicle sale date as recorded by the dealer) and Wi-Fi hotspot connects up to 10 devices (includes a trial subscription of 3 months or 3 gigabytes, XLT APPEARANCE PACKAGE liftgate applique, Sideview Mirror Caps, EXPLORER Badge on Hood, Ebony Black Unique Door-Trim Panel Insert, Fire Orange contrasting stitching, Lower Front & Rear Bumper Covers, Lower Door Trim, Lower Bodyside Cladding Insert, EXPLORER Unique Branded Front Floor Mats, Wheels: 20" x 8.5" Magnetic Met Painted 10-Spoke, Tires: P255/50R20 AS BSW, Black Roof Rack Side Rails, Magnetic Met-Painted Grille Bars w/Mesh Insert, RUNNING BOARDS - BLACK, ROOF-RAIL CROSSBARS (DEALER INSTALLED), EBONY BLACK W/FIRE ORANGE, LEATHER-TRIMMED BUCKET SEATS Ebony Black leather-trimmed first and second row seats w/perforated Miko sueded cloth inserts and Foxfire contrasting scrim, Ebony black leather-trimmed bolsters and Fire Orange contrasting stitching, 10-way power driver's seat w/power lumbar and recline, 10-way power front passenger seat w/manual lumbar and 4-way manually adjustable driver and front passenger head restraints and Ebony Black vinyl Third row seats w/Black stitching.